Established in the year 1992, we "Sam Associates" are the leading manufacturer, exporter, importer and trader of a wide range of Tufflam Glass Epoxy Laminate, Phenolic Glass Epoxy Laminate, Tufflam Glass Epoxy Magnetic Laminated Sheet, etc. Furthermore, with sufficient experience in our business domain we have developed a better understanding of the product making techniques and thus have excelled in our area of specialization. Coordinated efforts of different personnel ensure the entire functioning takes place in an organized manner and no problem arises in the processes. Under the able guidance of our mentor, Mr. Asif Ali Rawoot, we have carved a niche for ourselves in the global arena. His in-depth knowledge and industry experience has assisted us to focus on constant improvement of our product range and thus manufacture products that are more viable. A strong infrastructure is something that we believe is most essential for any industry to develop. The strongest part of our infrastructure is our team of skilled in terms of technology. All our products are tested at every stage of production. To ensure timely delivery, we have a potent transportation system. 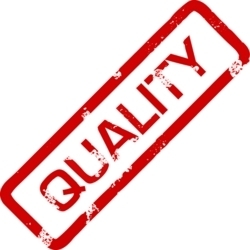 Quality of product is something of utmost importance for us. Our highly reliable products are tested carefully in our factory before they are actually launched into the market. The raw materials we use are of highest quality and they are highly acclaimed not only India but also all across the world. Our organization has been meeting the needs of a large number of global clients under our belt. We export and supply only defect-free products, which are synonymous with high durability and performance. Experienced personnel are provided with training to better understand the exact requirements of different clients and provide them with services accordingly. Moreover, we tailor and offer products that match with the clients specifications and thus has helped us gain reliance and goodwill of our clientele in India. Our organization lay due importance on the storage and inventory management of our range of products. Capacious warehousing facility is well partitioned for placing and storage of our range. Thus, easy storage and retrieval of the products ensures that the consignments are timely delivered to the clients. Moreover, in order to ensure damage free delivery, our packaging experts pack the products in a quality packaging material. We also have a potent transportation system to ensure timely delivery of the consignments. We have dexterous and experienced team members, which duly support our organization. 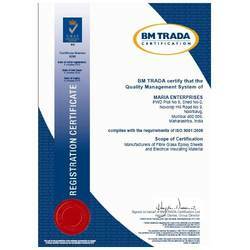 These professionals are committed to offer excellent quality products, by working efficiently and leaving no loopholes in the production process that might result in a defective range. Seamless efforts of our professionals and cooperation with other workers of the team have helped us achieve synchronization in our business processes. With a wide industry experience of 18 years, we have been the foremost choice of our clients due to our excellent services and manufacture & supply of excellent quality sheet, taps, films, pultruded products and sleeves and cords.